On April 3rd, the Kyoto tea authority announced hoga sengen (budding announcement). It was 4 days earlier than that of the last year. 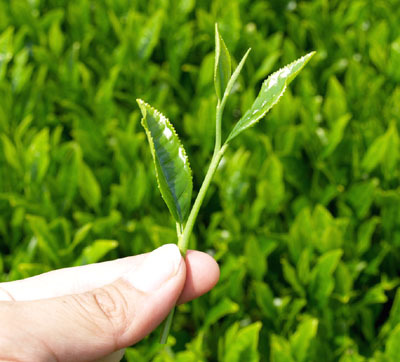 The announcement is annually issued when about 70% of new buds of “Yabukita” variety (the most common variety to produce green tea) cultivated at a research institute are grown about twice as big as the size of leaves which are wrapped the buds. Usually, about one month after hoga sengen, tea is ready to be plucked. Actually, after this announcement, the temperature unseasonably went down for a couple of days. Let’s see……. Should be fine, I hope! !